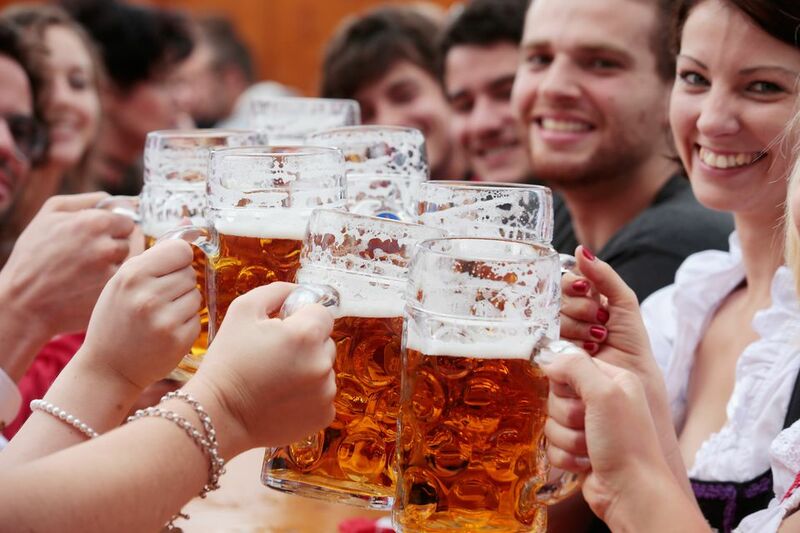 Oktoberfest is a beer-friendly celebration originating in Germany that is recognized and celebrated around the world. Oktoberfest began in Bavaria, Germany over 200 years ago when Bavaria’s Crown Prince Ludwig married Princess Therese of Saxony-Hildburghausen. The event was celebrated with days of feasting, drinking and, watching the horse races. It was such a great time that the event was made an annual event scheduled to take place toward the end of harvest season and close to the anniversary of the marriage. It continues to be a multi-day festival. Oktoberfest in Munich now begins in September and ends in October on the first Sunday in October, or on October 3, whatever is later. So a shorter celebration. like those in the United States, may take place the end of September or at the beginning of October. Oktoberfest in Reston is Northern Virginia’s largest outdoor fall festival. Also called Flavors of Fall, this festival features seasonal beer and wine, traditional German food from 10 local restaurants, a family carnival, live entertainment, corn hole games, a chili cook-off, and the Great Pumpkin 5K race. Live music includes traditional German tunes as well as fan favorites from a variety of local performers and bands. You may even learn a German dance or two. Flavors of Fall is usually held the first Saturday of October, but dates may change, so check in advance. In 2019, the first Saturday of October will be October 5. The festival typically starts around noon and ends at about 11 p.m. The 5k race happens on the following Sunday morning. The event is held annually at Reston Town Center, located on 11900 Market Street in Reston. Reston is a half-hour drive west of Washington, D.C., so it is an easy day trip or weekend escape for those who want to visit from the capital. The easiest way to get there is by car, and parking is free at the event. The general admission to get into Flavors of Fall is free. However, tickets for food and drinks cost extra. Just keep in mind that each restaurant stand can charge a range of one to five tickets per food sample while beer and wine typically range from five to six tickets per drink. Non-alcoholic beverages cost only one ticket. All-you-can-ride carnival wristbands are on sale ahead of the event for a lesser rate than at the event; wristbands are good only for Saturday 10 a.m. to 2 p.m. Beers on tap include Beck’s Oktoberfest, Devil’s Backbone Vienna Logger, Dominion Octoberfest, Shock Top Pumpkin Wheat, Widmer Hefeweizen, and select craft beers. Although every year brings different restaurants and food vendors, past participants have included: Barcelona Wine Bar, Choolaah Indian BBQ, Clyde’s of Reston, GreenFare, Mom's Momo, Pittsburgh Rick's, The Melting Pot, and Tavern64 Regional Kitchen. The local restaurants feature their fall menus which may be a traditional German meal or something more local with farm-to-table fare.